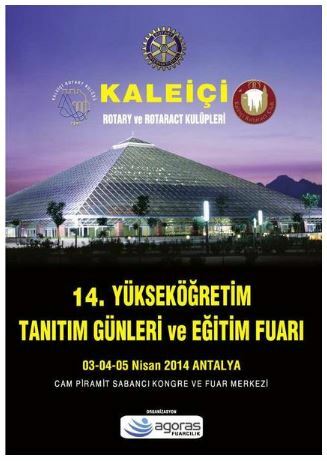 The exhibition is a great chance for students from Antalya to get to know the university they will attend to. There is also an attention to the exhibition from the neighbouring cities of Antalya thanks to schools and private education institutions. Universities from Turkey and abroad will take place as exhibitors in the exhibition like every past year. This Page Has been updated at 21.01.2015 and has been read 0 times.